LA JOLLA -- Final round play has been suspended to Monday due to heavy rain and wind Sunday of the Farmers Insurance Open in Torrey Pines. 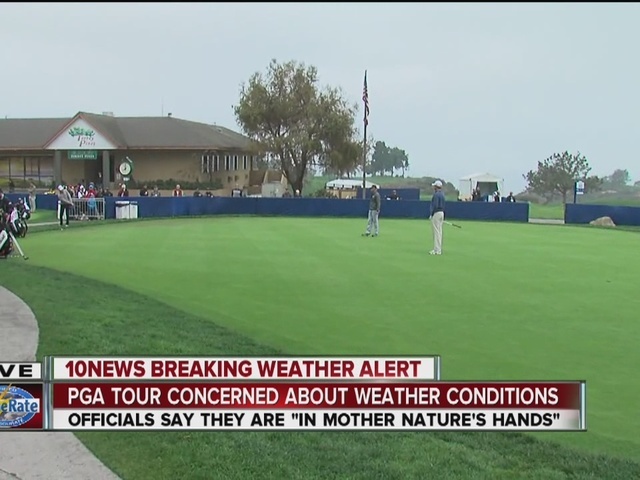 "In the interest of public safety, the PGA Tour, Century Club of San Diego, and the City of San Diego have determined the course will remain closed to the public for Monday's scheduled finish." Due to strong winds and unsafe conditions, the course is now closed to the public. For updates, please check our website. 1:59 p.m. play is delayed. Players are coming off the course. Brandt Snedeker closed with one of his best rounds ever Sunday and now has to wait to see if it's enough to win the Farmers Insurance Open. Snedeker was the only player to finish at par or better in the raging wind and rain at Torrey Pines. He closed with a 3-under 69, going the final 17 holes without a bogey. 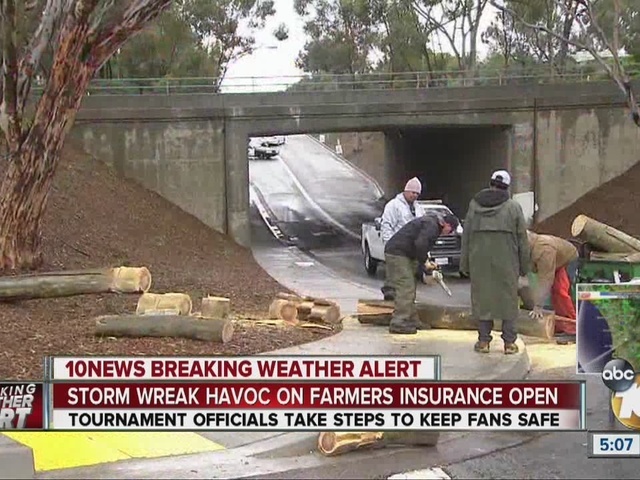 The gusts became so severe that tents the South Course was evacuated not long after Snedeker finished. The final round was suspended until Monday morning. Jimmy Walker was at 7-under par through 10 holes, while K.J. Choi was at 6 under and playing with Walker and Scott Brown in the final group.